You may be interested in buying cherry-based products. Purchase them cheaply from UK retailers such as Tesco, Wilko, Superdrug, and more. There are lots of cherry-based products that you can buy such as canned cherries, cherry flavoured sparkling water, cherry juices, and more. If you love the taste of cherry, we will provide you with substantial information on how you can save money on your cherry-based products purchases. One tip is to use the latest cheap cherry UK discount codes upon checkout. This will certainly give more value for your money. NIVEA Shower Cream & Oil Pearls - Cherry Blossom - Less than Half Price! Get the best savings on Cherry food products, skincare and more! A cherry is a fleshy drupe and it is also called a stone fruit. There are numerous species of cherries such as the sour cherry (Prunus cerasus) and the sweet cherry (Prunus avium). Cherries is a type of flowering tree in the genus Prunus. Wild cherry is referred to species that were grown outside cultivation. Most sweet cherry species were cultivated and it mainly used for cooking various dishes. This fruit is not specifically grown for personal consumption in some countries. Even though this is the case, there is still a high demand for the fruit because it is used to make different kinds of food products by multi-national and local companies. In commercial production, cherry fruits are harvested by mechanical shakers but in small farms, traditional hand picking methods is still practised to avoid damaging the trees and fruit. Raw cherries are composed of 82% water and they provide only little nutrient but they have moderate content of vitamin C and Dietary fibre. There are many food products that can be made from cherry fruit including pancake syrup, fruit juices, sandwich spread, and more. 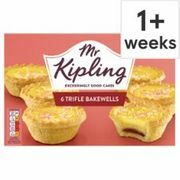 Where Can I Find Cheap Cherry Deals in the UK? Here at Latest Deals, you can get information about the best cheap cherry food product deals available today. Purchase cherry products from your favourite retailers without hurting your wallet. Compare price of cherries in the UK via MySupermarket, from Aldi cherries and Lidl cherry to Coca Cola cherry and Montmorency tart cherry juice UK, you are sure to get a deal that will fit your budget. Try out the different food products that were made from cherries such as jams, juice, drinks, wines, and chocolates. There are also non-food items such as skincare, fragrances, body butter, shower gels, air fresheners, and candles. You can get massive savings on all the cherry items you want by using the latest discount and voucher codes you can find here. Our community of bargain hunters are always sharing verified cherry deals, sale, price drops, and special offers online. We also have a team of money-saving experts who always share essential tips and tricks on how you can save on your online and instore shopping. 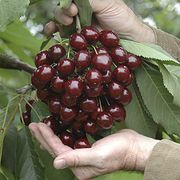 You can find a wide selection of cheap products made from cherries in the UK. Most UK sites have regular clearance sales and special offers where you can save as much as 50% off. Make sure to use voucher codes for additional money off or even free delivery. Just be reminded to check the expiration date of the item if you are going to buy food products. In case you are going to purchase non-food items, you should also double check the description before finalizing your orders. Our community of bargain hunters has gathered the best Cherry deals for you to get great value for your money. Canned Cherries – This is cherries that you can eat straight from the can and it is preserved by water mixed with sugar or corn syrup. This is a healthy snack that you can eat any time of the day. Cherry Cider – Mostly made from dark sweet cherries. This is a great cherry product that can soothe arthritis and gout. This is made from pure cherries and there are no preservatives added to it. Cherry Fruit Jam – It is sweet and flavourful. It can be from various kinds of cherry varieties including sweet cherry, huckleberry, pie cherry, and more. Dried Cherries – This product is somewhat similar to raisins and prunes. It is great to snack on and it can also be used for cooking. Cherry Syrup – This is great for pancakes and waffles. It can also be drizzled on top of a cake or an ice cream. It mostly contains lemon juice, sugar and cherries, of course. Cherry Wine – This is one fruit wine that you should try. Choose the wine that will suit your taste palate. They come in various varieties including dry, sweet, or medium. Quality – The product should be made from high-quality cherries. It should undergo strict quality control to ensure that it is safe to consume. The label should have detailed information about the ingredients that were used in making the food product. Quantity – The food product should have a substantial amount of cherries. There are some food products that only have a little number of cherries and the companies only put water and additives to increase its quantity. Make sure that what you are buying contains around 90% pure cherries. Secure packaging – The product should be enclosed in a secure packaging such as cans, pouches, or jars. This is to avoid the cherry food product from spoiling. This is very important for the safety of the consumer because they are buying these products for consumption.